Paso Robles, California has a lot going for it. Located halfway between San Francisco & Los Angeles, it’s a perfect layover break up the drive along the 101. Thanks to its hot springs, it has long been a getaway spot for travelers. The abundance of local wineries only serves to make Paso Robles a more popular relaxing stop. 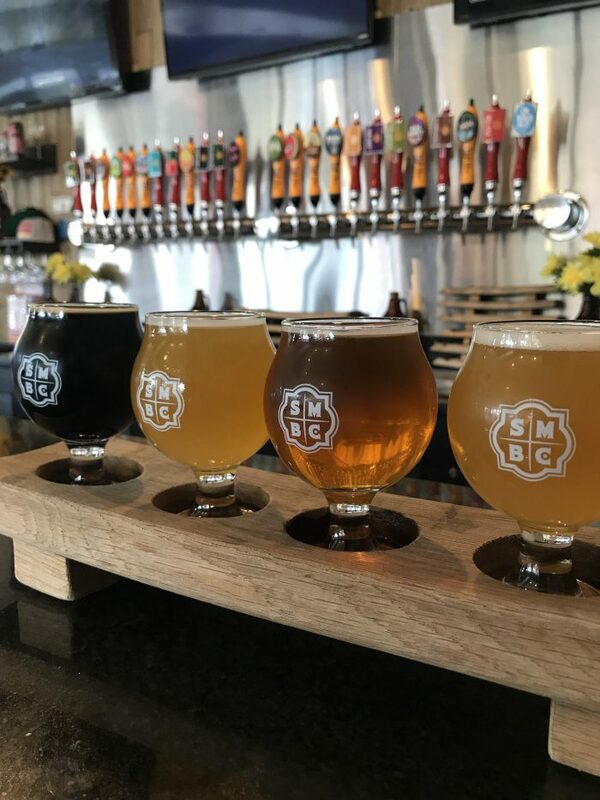 However, similar to Santa Rosa in the wine regions to the north of San Francisco, Paso Robles also has an amazing craft beer scene that is one of the best in California. 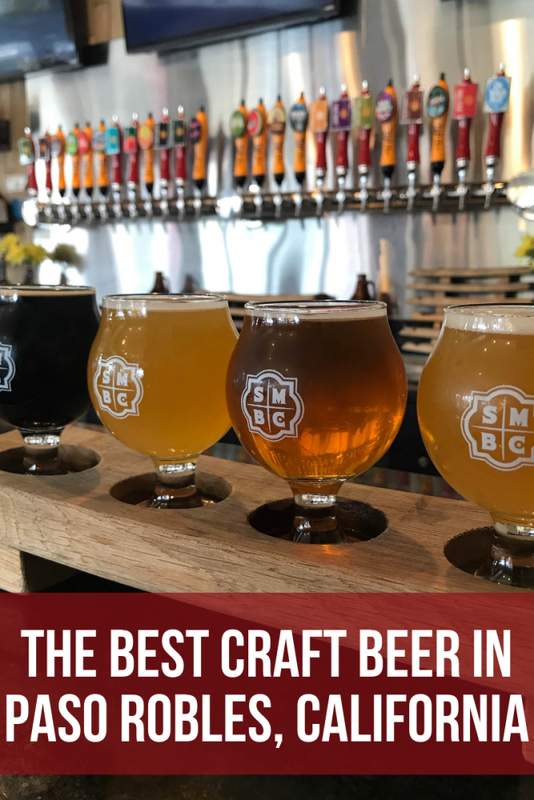 Here are my recommendations for the best craft beer in Paso Robles. 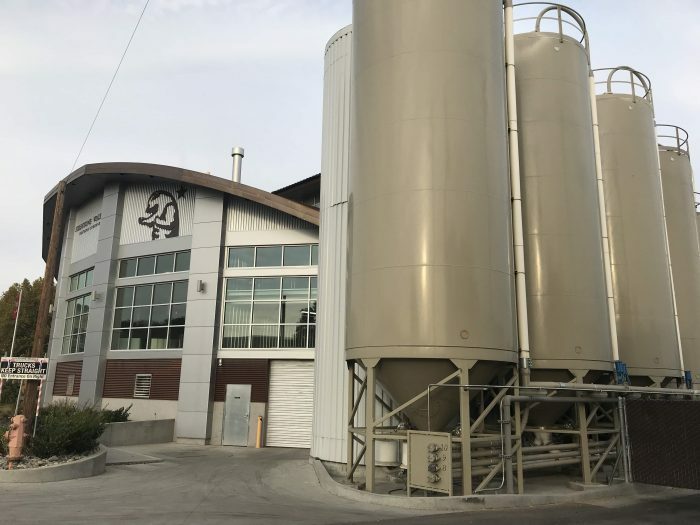 As with Santa Rosa & Russian River, the beer scene in Paso Robles has one stalwart brewery that alone makes the city worth visiting. Any craft beer drinker will be familiar with Firestone Walker. Since 1996, brothers-in-law Adam Firestone and David Walker have been brewing some of the best beer in the world. Beers such as 805, Union Jack, DBA, & Pivo Pils can be found all over the United States. However, where Firestone Walker really stands out to me is their production of vintage, barrel-aged, and one-off beers. Unlike some breweries have done as they have grown in size over the years, Firestone Walker has remained committed to releasing smaller batches of beers, such as Sucaba, Parabola, Stickee Monkee, Velvet Merkin, and their always-delectable & original annual Anniversary blend. 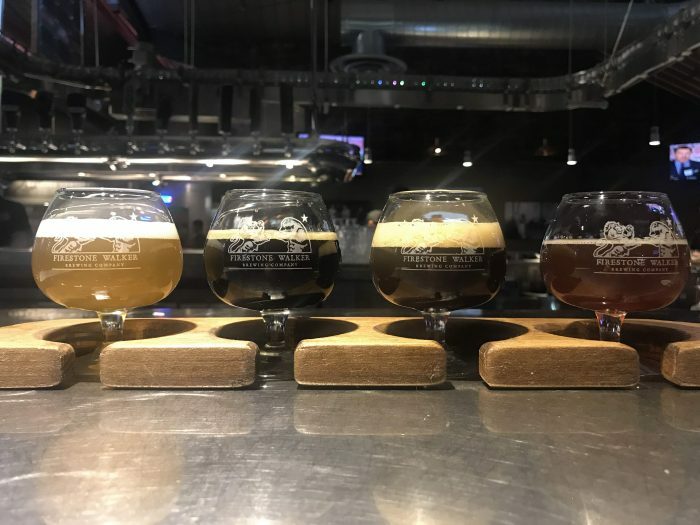 It’s these beers & more that make visiting the Firestone Walker Brewery in Paso Robles a necessary pilgrimage for any beer fan. Firestone Walker has a few buildings located just off the 101, south of downtown Paso Robles. Ironically, despite their name, pedestrian access is not particularly great, as I had walked from the Hampton Inn where I was staying on the other side of the 101. The yeasty aroma of freshly brewing beer permeates the air here. First, you’ll pass the Emporium, which sells Firestone Walker beer to go, along with merchandise. Then of course there’s the brewery itself, which also has a visitor center with tours available. 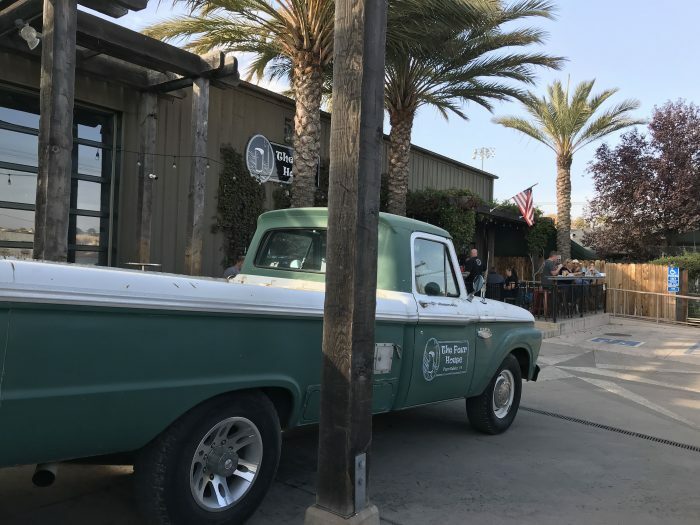 Across the street you’ll find the Taproom, which, along with a full food menu, has 24 taps of Firestone Walker beer, including some rare selections you won’t find anywhere else. 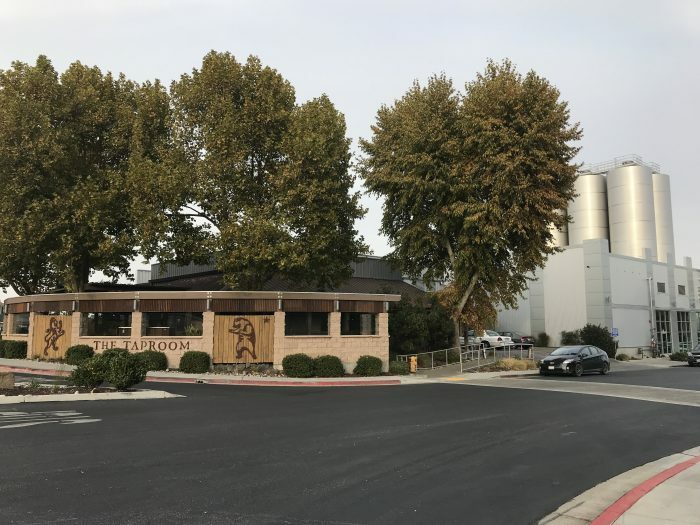 I was lucky enough to visit just after Firestone Walker had done a special re-release of Wookey Jack, a black rye IPA that used to be one of my all-time favorite beers. With this many taps, many of which are strong beers, I highly recommend doing as many tasters as possible. When you’ve found something you especially love, then you can commit to a full pour. Whatever the case, commit to a full afternoon and/or evening at Firestone Walker. Downtown Paso Robles is home to a large group of craft beer bars. The largest of these is Santa Maria Brewing Company. 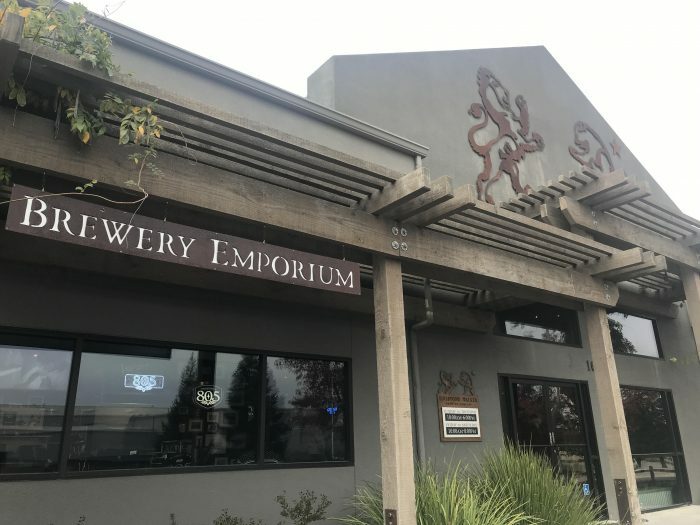 While the brewery, which opened in 1994, brews in its namesake city of Santa Maria, about 60 miles south of Paso Robles, they have a few brewpubs scattered around the Central Coast (including one opening soon in nearby Atascadero, where I also stopped on my way back north). 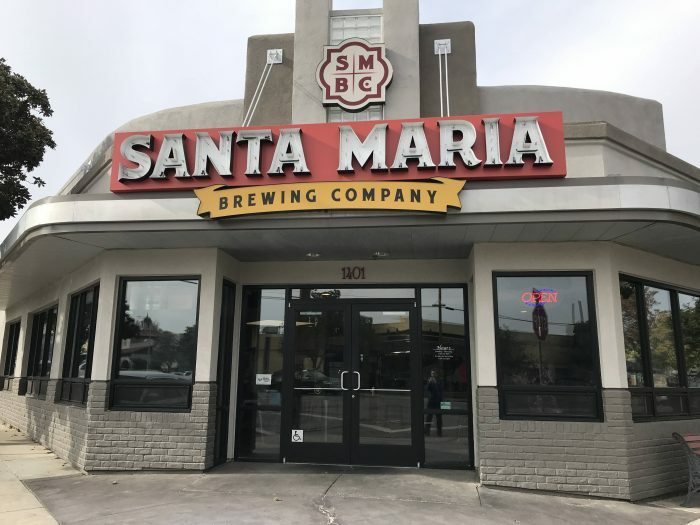 The Paso Robles location of Santa Maria Brewing Company has 24 taps of their own beer, which also includes Tap It, a local brewery Santa Maria acquired in 2018. There’s a full food menu as well. Santa Maria Brewing Company has an intriguing program for locals (or anyone else who plans on stopping in frequently). 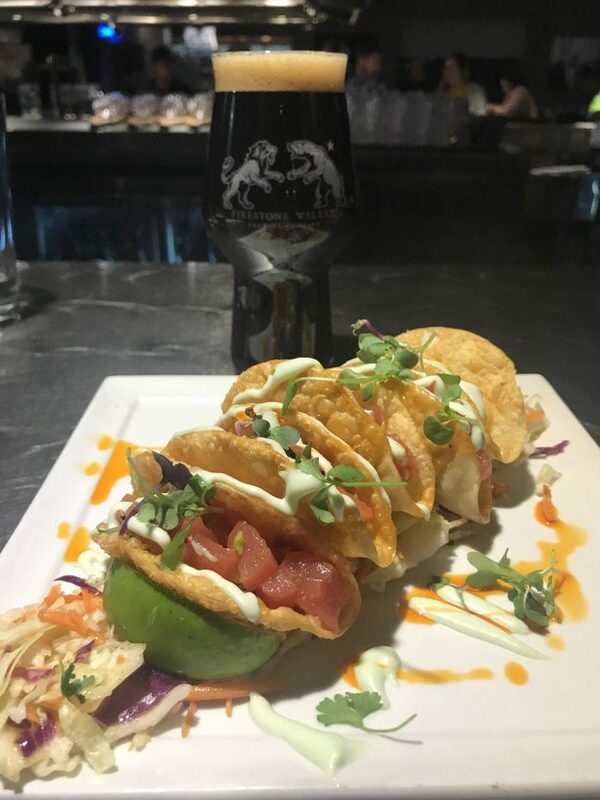 They offer a beer club with unlimited half price beer, and for the even more committed, their Admiral’s Plus Club comes with unlimited beer for life. If I lived across the street from a brewpub that offered that, I’d seriously consider it. 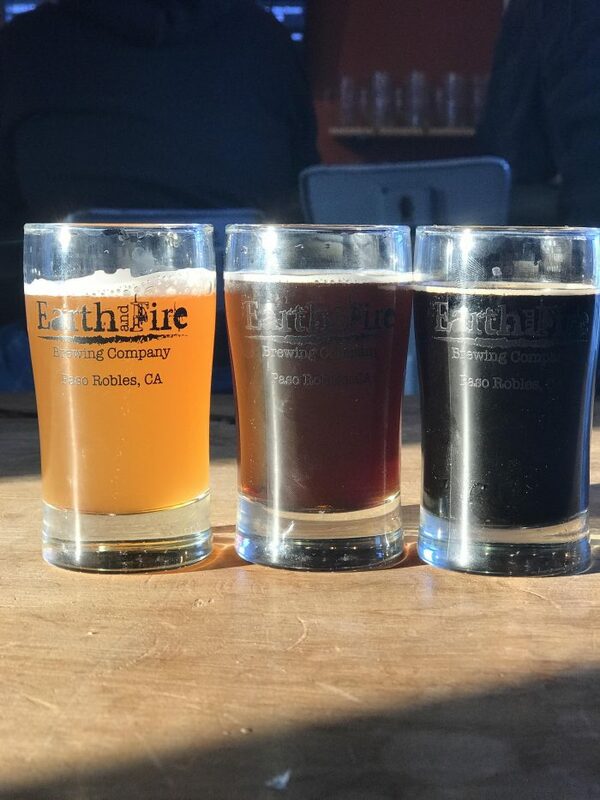 Earth and Fire Brewing Company is also located in downtown Paso Robles. It’s a cozy place, but frequent live music shows mean the fun often spills outside. There are 6 taps, one of which had a beer aged in Syrah barrels when I visited. That’s a nice way of tying together local beer with local wine. Earth and Fire also has a unique “pay it forward” board. Rather than just buying a beer for someone by name, there were also beers that had been bought for people with particular careers or histories, such as as firefighter, veteran, paramedic, or Olympian. 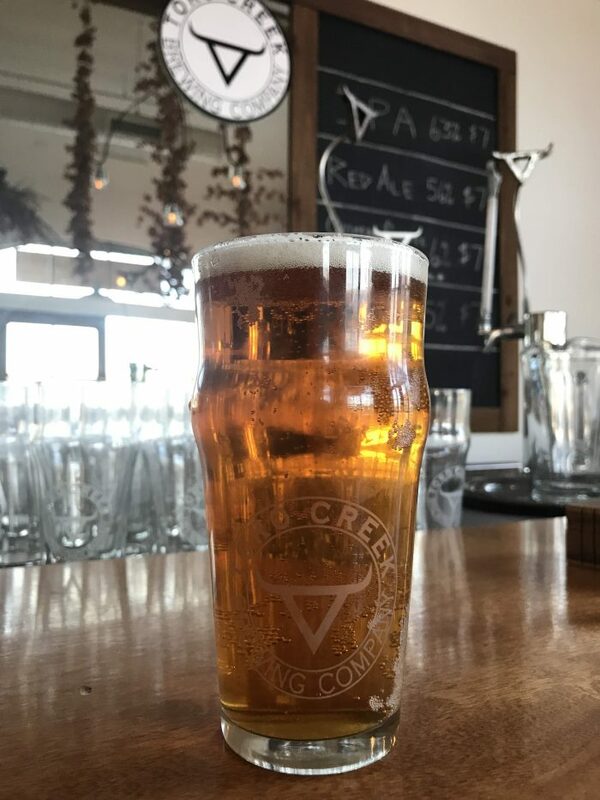 Fans of a quiet pint will love Toro Creek Brewing Company. 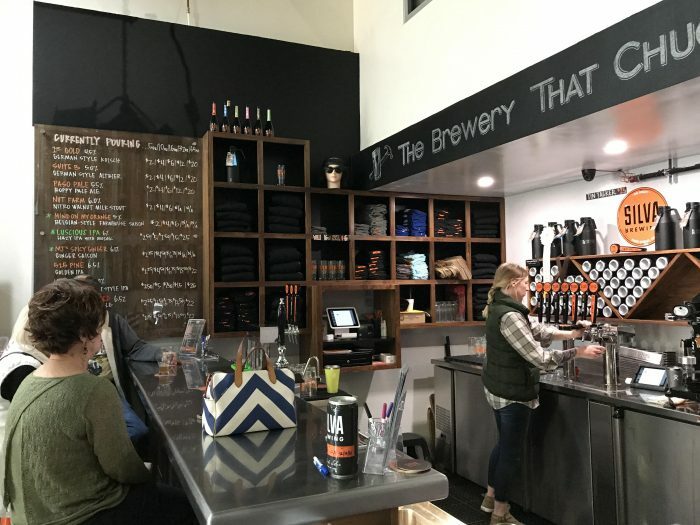 The brewery, which sits near the Paso Robles train station, has the feel of a bright living room, right down to the vinyl collection that spins in the corner. There are just 4 taps, but since all have different styles, you’ll be able to find something to your liking. Toro Creek is local in every sense, with ingredients coming from their local farm. The idea of an “estate-grown” beverage is of course well-known for wine, but few breweries are doing it. Toro Creek might be small, but it’s intentionally so. The focus is on using local, organic ingredients to make a good pint. Nearby, the city planners of Paso Robles are creating the Railroad District, which is expected to draw more arts & entertainment options to the neighborhood. 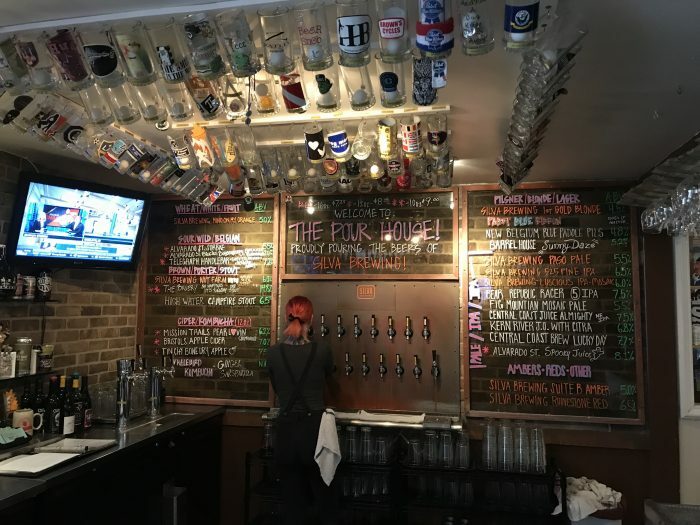 The Pour House is the best craft beer bar in Paso Robles in terms of selection. Their 27 taps carry a wide variety of beers, from local breweries on this list to other breweries from California & beyond. It’s very much a neighborhood bar, with events such as live music & trivia throughout the week. Outside there’s a nice busy patio, while the inside is dark & cozy. The Pour House feels like two bars in one as a result. Or, perhaps it’s three. 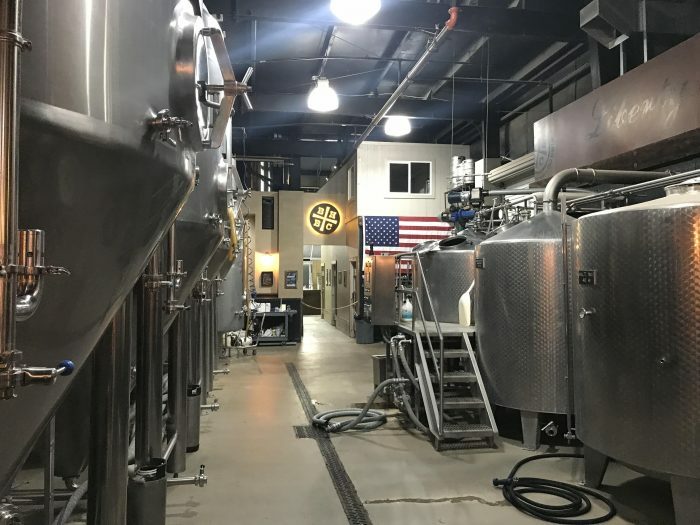 Head to the back of The Pour House, take a right, and you’ll find yourself inside Silva Brewing. You can also enter through the front door, but that feels much less like you’re stumbling upon something secret. 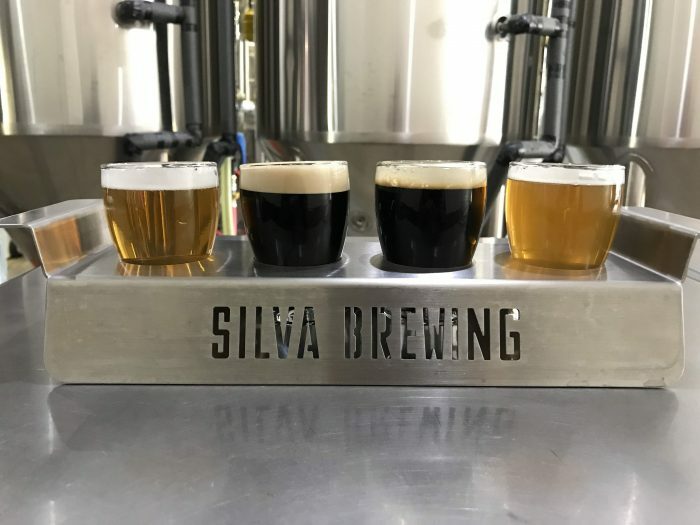 Owned by Chuck & MJ Silva, Silva Brewing has only been in operation since 2016, but they have aspirations to eventually become a farm brewery. In the meantime, The Pour House & the owner of the building have welcomed the Silvas with open arms. 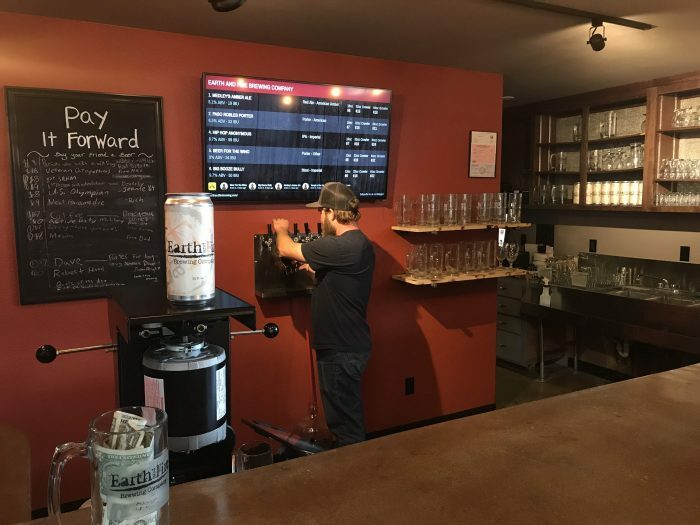 The brewery has 11 taps, with a few of their beers also available in The Pour House as well. Chuck Silva was formerly the brewmaster at San Diego’s Green Flash, so he knows his way around beer. He’s combining his knowledge of brewing with local ingredients. I particularly enjoyed the Nut Farm Nitro Walnut Milk Stout, which used local walnuts. This region is one of the finest agricultural areas in the world, so the Paso Robles breweries are making the most of these opportunities. 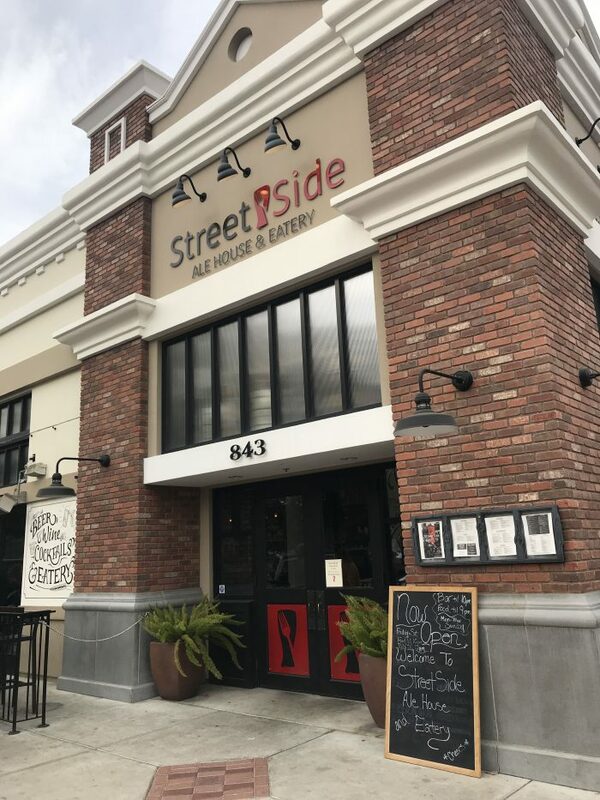 Street Side Ale House, which has a location in nearby Atascadero, has also opened a new bar right across the street from the Downtown City Park in Paso Robles. 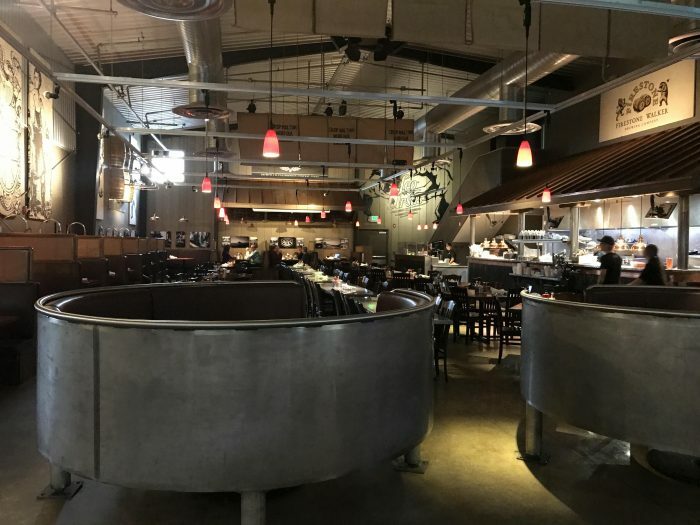 The third area of Paso Robles’ craft beer scene is known as Tin City. This industrial area south of downtown (and south of Firestone Walker) has over 15 wineries, distilleries, cideries, & breweries. Given how quickly, new breweries in Paso Robles are popping up, this number is subject to change. The drinking establishments out here have more space, and you can make a whole day of popping into them. This is the trendiest area to hang out in Paso Robles. BarrelHouse Brewing Company is a huge place. 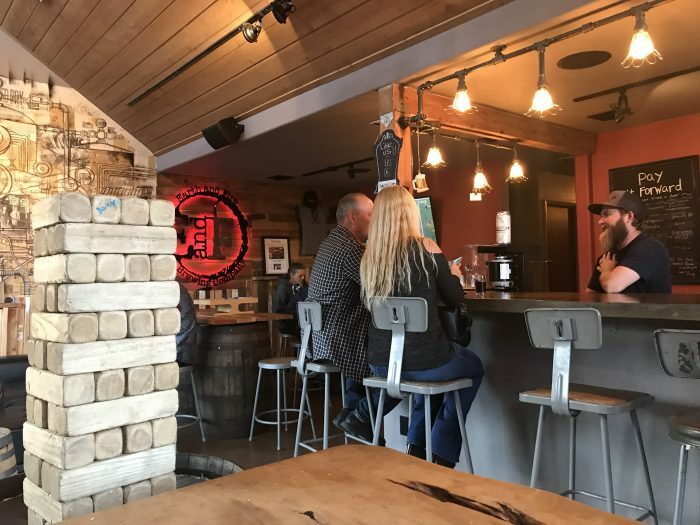 The inside 14 tap bar feels like it’s a normal size, but take a walk outside into the beer garden and you’ll see just how big BarrelHouse is. There’s a fountain, plenty of seating, plus space for live concerts. There’s even a dedicated barrel facility across the creek. 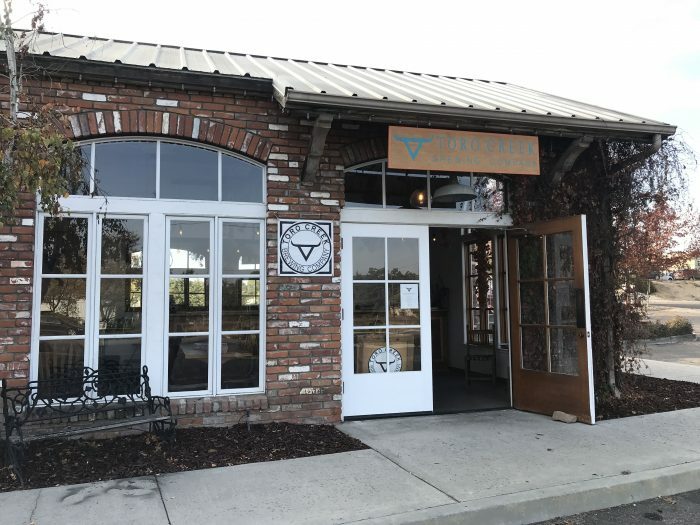 In addition to their Paso Robles brewery, BarrelHouse also has taprooms in San Luis Obispo & Visalia. 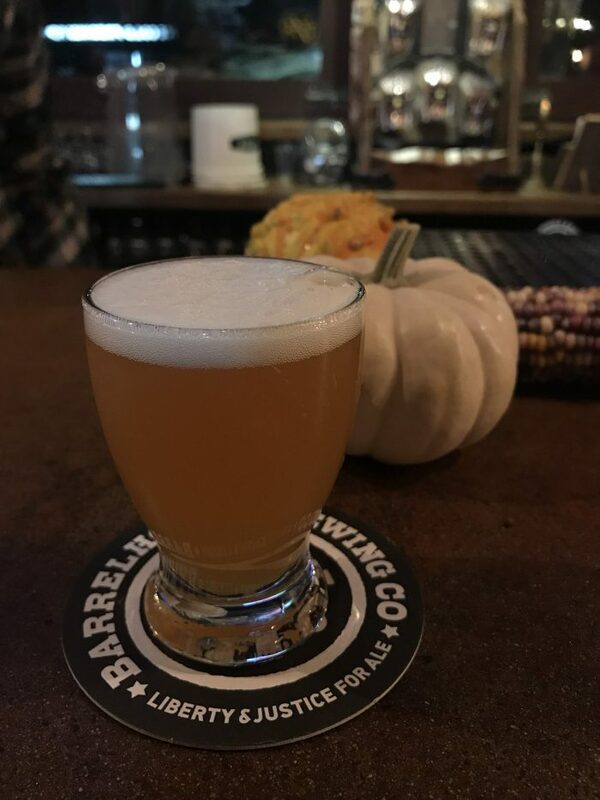 When I visited BarrelHouse on a late November evening, I was at first excited to have some outdoor drinking time. This enthusiasm cooled with the temperature, as I’d forgotten just how quickly it can get cold when you are outside of a city. 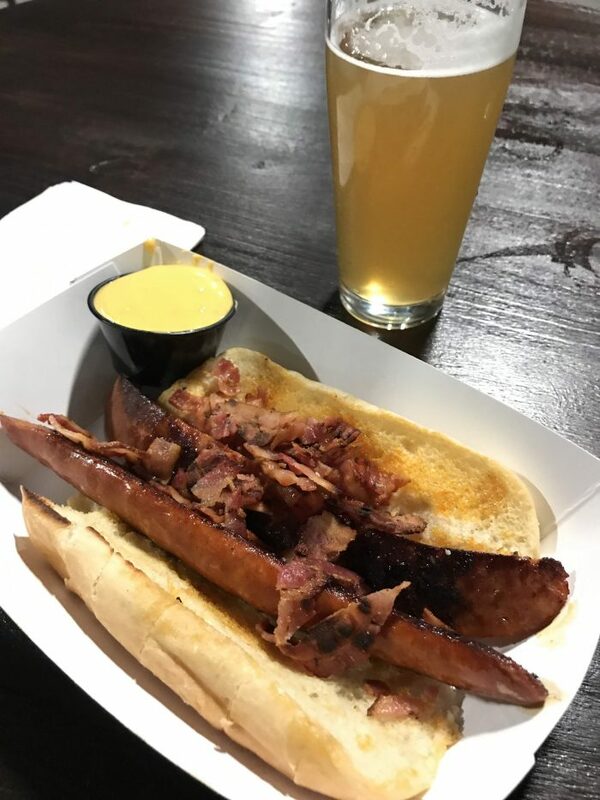 This was fine, as I was welcomed at a spot at the bar, where I then continued to try small pours of various BarrelHouse beers for the rest of the night. 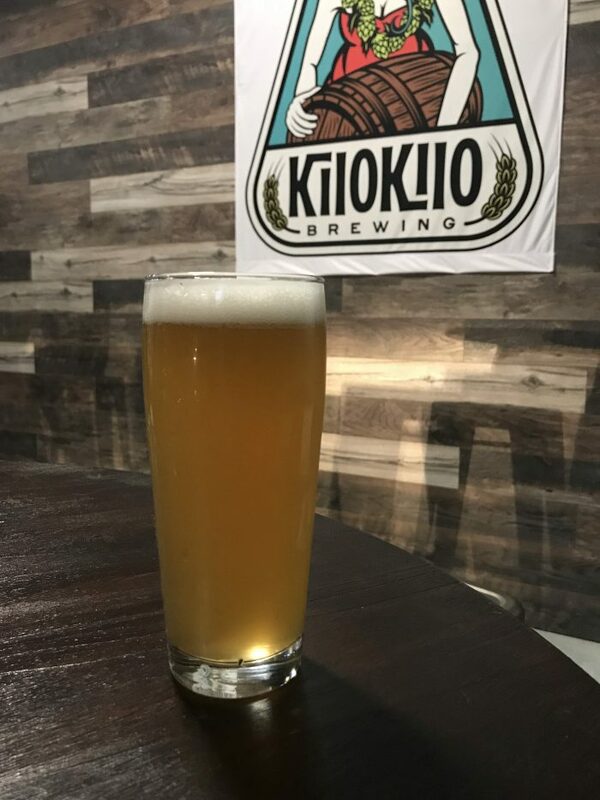 While Kilokilo Brewing Company & the wineries & distillery in the same industrial complex might not officially be part of Tin City, they are located just down the street. 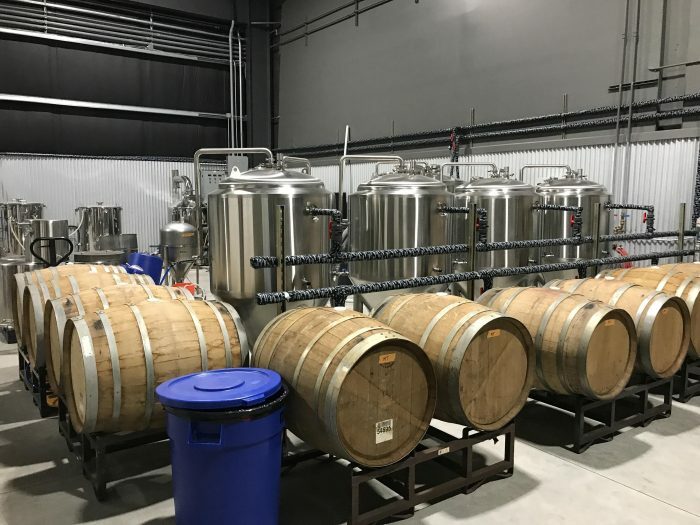 Kilokilo is the newest brewery in Paso Robles, and given that they plan on featuring many barrel-aged beers, production takes time. 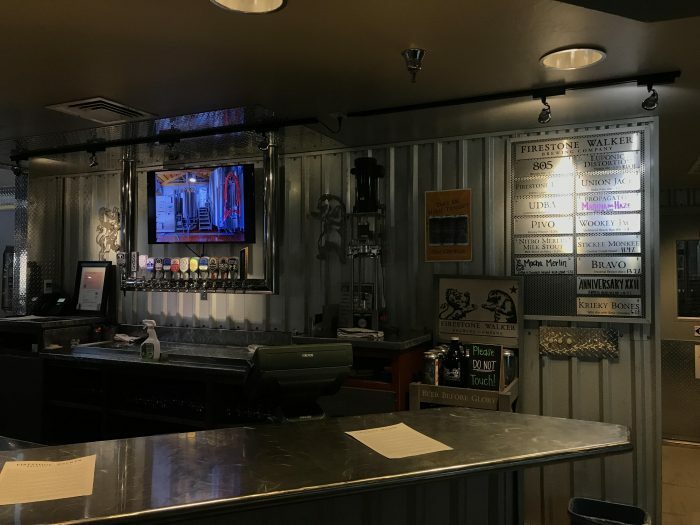 As a result, only a couple of the 24 taps in the Hawaiian-themed bar are devoted to their own beer, but as they ramp up they have wisely filled the remaining spots with guest beers, many of which are from small California breweries. There are also hot dogs & bar food available. 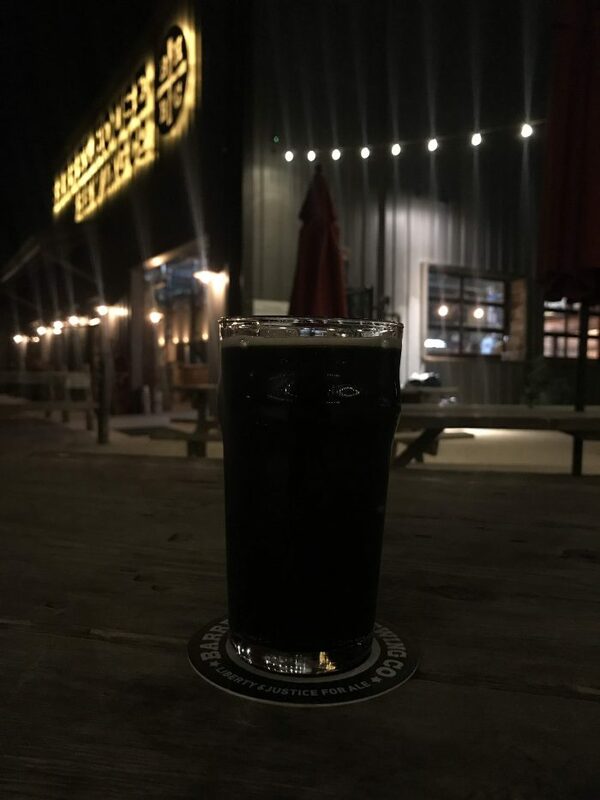 Paso Robles is one of the best cities in California for great craft beer, especially given its size. 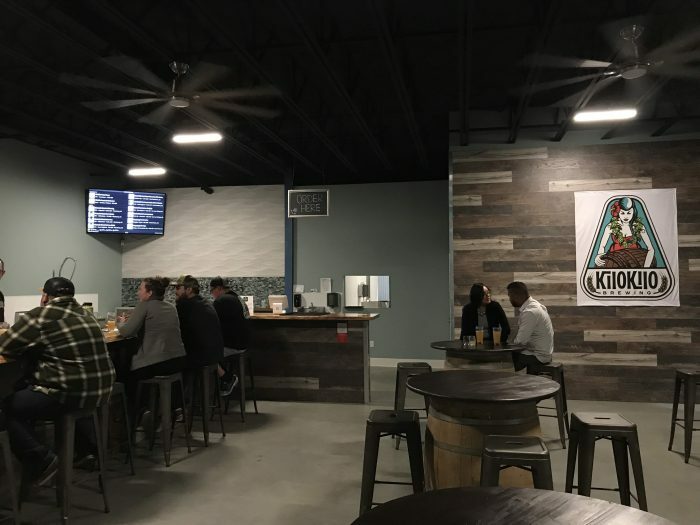 Given how many of these beer bars & breweries have popped up in Paso Robles in just the last few years, there will certainly be more opening soon. If you spot any new ones, let me know in the comments below! Great write up. I visit Paso Robles once a year for both the beer and the wine. I agree on all your comments. Paso Robles and Portland, OR are probably the two best US cities to visit if you are both a wine and beer lover. Two words if wine tasting by day and beer drinking at night. Pace Yourself! That’s definitely great advice! I love Portland too. Thanks for stopping by!